Ancaster limestone has been used as a building material since Romans times. It is an oolitic limestone from the middle Jurassic era. Throughout the ages it has graced the facades of various famous buildings. There are records of many medieval churches, universities and castles using Ancaster limestone. 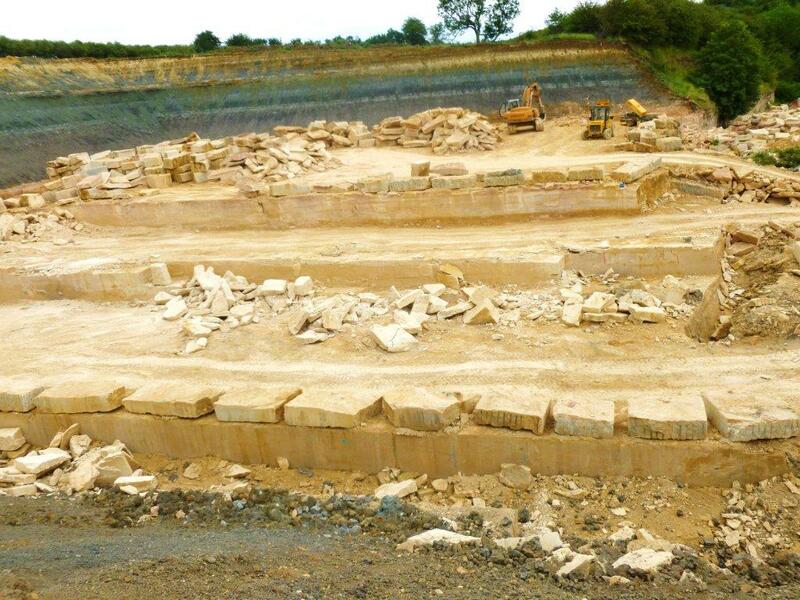 Although we can't be certain extactly where the early limestone was quarried we do know that extraction from the Glebe Quarry complex began over three hundred years ago. During the Victorian era several grand country houses were built using materials from Glebe.When Ancaster became part of the rail network the block was transported from the quarry to the railyard by horse and cart and architects would then arrive by train to select block for their projects. The complex was purchased at the turn of the 20th century by the Gregory quarrying company who developed the complex further. In 1908 Glebe supplied all the stone for the facade of Holborn Town hall. Records shows that during the 20th century there were two Ancaster quarries being worked by Gregorys. The current quarry was originally known as Gregorys number two. Today we use the latest methods to ensure that the extraction process causes the minimum of damage to both the block and the environment. We extract from three beds which yield Ancaster Weatherbed, Ancaster Hard White and Ancaster Freestone. All of our materials have been used extensively across the whole of the UK. Feel free to look at our examples page. We currently have reserves of circa 250,000 tonnes. For further information or to place an order contact either Nick or Andy.